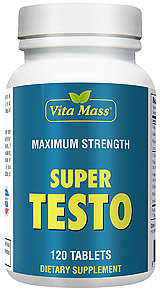 * It is a powerful aphrodisiac for both men and women. 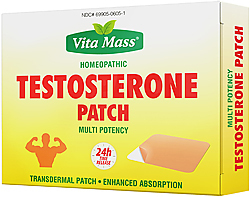 * Can be used to combat impotence. * It has proven to be an effective antioxidant. * Helps prevent clogged arteries. * Assists sessuli performance and increase libido. * It has proven useful in preventing heart attacks. The Yohimbe is a plant native to South Africa, universally known for its apparent aphrodisiac properties. Is extracted from the inner bark of the tropical West African (Corynanthe Yohimbe). For centuries, the pure bark was used as a tonic to enhance sexual pleasure and power. Yohimbe has been discovered and used for its aphrodisiac qualities by the Pygmies and the Bushmen in West Africa, where it grows naturally. The Bantu tribes of West Africa still use it for its apparent aphrodisiac properties. These tribes of West Africa also use it to treat fevers, coughs, and leprosy. It was also used to dilate the pupils, for heart disease and as a local anesthetic. In the nineteenth century some German missionaries found Yohimbe while in West Africa and brought to Europe, where it spread very quickly. In 1960, the Food and Drug Administration has launched several tests on yohimbe to determine its effects as an aphrodisiac. The researchers found that yohimbe was indeed a powerful and effective aphrodisiac, especially for men. These studies also found that Yohimbe helps to increase the sense of touch and provide stimulating sensations along the spine. 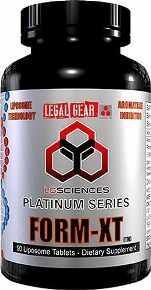 Yohimbe has been for years one of the most common supplements for both men and women. When ingested, the body converts it to yohimbine which is assimilated into the bloodstream. Yohimbine, an alkaloid, is the main active ingredient of yohimbe. His popularity has been built not only for its effects as an aphrodisiac, but also because recent research has shown that this is an herbalist with a strong antioxidant. Research has found that it is a vasodilator, which means that it increases blood flow to the extremities and appendages. In other words, can be an effective treatment for male impotence and can also increase sexual stimuli (libido) in both men and women. Furthermore, it was found that yohimbe helps prevent clogging of the arteries leading to myocardial dysfunction or strokes. Yohimbe not only helps men to increase sexual performance and libido and prevent heart attacks, but has also proven useful to decrease the synthesis of fats in the body by increasing the mobility of fatty acids. In a double blind study conducted on 182 men with erectile dysfunction, were administered 42 mg / day of yohimbe. Within 1 month, 34% of study participants reported a total recovery of sexual function and 24% there was a partial response. In another sudio conducted on 48 men with impotence problems, 46% have seen an improvement in sexual function, in a study conducted at Stanford University in Yorkshire, in 90% of study subjects in less 1 hour has seen an increase in sexual desire. Finally, in a previous study conducted in Germany in 1977, were administered 30 mg / day of yohimbe to 86 patients with erectile dysfunction for a period of eight weeks. 71% of participants responded with a general improvement of sexual function and libido. Those who gain the maximum benefit from the integration of yohimbe are those who suffer from impotence or states of depression. Not to mention bodybuilders or athletes who want to have a stomach "sculpted" and / or a healthy heart. People taking Yohimbe should avoid foods containing tyramine, such as cheese, red wine or the liver, which contain tyramine. It would be better to avoid these foods when taking Yohimbe. In addition, you should avoid taking certain antidepressants like Prozac in conjunction with yohimbe, if not closely monitored by a doctor. Yeast, wheat, corn, milk, eggs, soy, gluten, artificial colors or flavors, added sugar, starch or preservatives. Warning: Do not use this product if you are at risk or under treatment for high blood pressure, heart problems, kidney, thyroid or psychiatric, if you suffer from anxiety, depression, seizure disorders or stroke. 1 capsule up to three times daily with meals. Warning: Do not use this product if you are at risk or under treatment for high blood pressure, heart problems, kidney, thyroid or psychiatric if you suffer from anxiety, depression, seizure disorders or stroke.